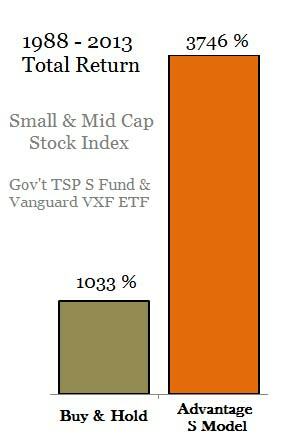 Note: This is not an issue with TSP funds and should not be an issue with mutual funds. From time to time I remind my subscribers of a little issue with buying and selling ETFs. They are great low cost vehicles for buying index funds. But they have a little issue with something called liquidity during market panics or hiccups. More so than stocks. Imagine a theater filling up. Management only unlocks and opens one door. No problem, everyone comes in over a period of 20 minutes and fills the seats up. Then a rapid fire breaks out or someone yells “fire”. What happens – everyone wants out now and no one wants in. This can happen to ETFs under market stress during the trading day and mostly likely at market opens since everyone who panics overnight places orders that hit the exchanges at the open. When everyone wants out in a panic ETFs have a supply and demand issue because they are NOT in fact the index they are tracking. They are a vehicle for tracking the index. And when everyone wants out NOW, the price of the ETF drops like a rock until buyers show up for the ETF (not the index). The buyers are usually hedge funds and high frequency traders looking for the kill at detached low prices. I pulled a few charts the last time this happened in August of 2015. Here is one with a couple of poster child ETFs. Notice the difference in price of the ETFs and the SP500 index they “track”. The ETFs recovered within hours but only after some investors got slaughtered with over 40% losses. Those who held through the day did not notice the issue. If you own a mutual fund or any fund that adjusts at the close of the day, then you were not affected by this intra-day issue. ETFs trade throughout the day. If you think you are being smart by setting STOP LOSS orders to sell if the market is drops 10% then you will be one of the ones slaughtered. Because when the market hits your 10% STOP LOSS order, it becomes a MARKET ORDER and is executed at the current market price not your STOP LOSS price. The market for your ETF could be down 10 – 90% in a panicked market. Some of the larger more liquid ETFs held up pretty good during the turmoil but still monetarily detached from the SP500 index they track. I have a feeling we will see the effects of liquidity over the next year or so. I am still trying to find out what the new Fed Chairman meant in 2012 (Fed minutes recently released) when he said he was worried about what would happen when the Fed’s “short volatility” position ended. If anyone sees anything on this, let me know. I am shocked no one has asked him what he was referring to. My guess is he was referring to the work of the plunge protection team that morphed into the wealth effect team. My view is the work of the Fed and this team is akin to a casino with its thumb on the wheel. No one complains when they are helping you win with small bets, it is when everyone is all-in and placing big bets they reverse course and the real wealth transfer occurs. There IS a cost to the Fed’s “Wealth Effect” policy or shall we say the coin has two sides. The winning side – financial asset holders (mostly top 5%), debtors and speculators. The losing side – pension funds, savers and life insurance companies who have lost significant interest income. Pensioners living on Certificates of Deposit (CDs) lost half of their interest income thanks to rates being manipulated down after 2011. One side of the coin is seen today in the market’s euphoric highs. The other side will be seen in the coming pension crisis once the markets reset even if they are allowed to only correct half way.